What’s the best hydration mouthpiece and drinking valve for you? It may sound like a technical question but it’s way more than that. You take our hydration systems biking, running, snowboarding, hiking, fishing, camping, canyoning, paragliding, rock climbing … And we make sure you get the most advanced and convenient hydration technology possible. That’s why we also offer two different solutions for the mouthpiece: Our Source Helix™ Bite Valve and the Source Storm™ Push-Pull Valve. Which one’s right for you? Here are a few hints. You’re going for a bike-ride in the summer? You probably want to use our Source Helix™ Valve. It’s a bite-valve – apply pressure with lips or teeth and the water flows. You can do it completely hands-free. The extra locking mechanism makes it completely leak proof, and keeps your pack dry when it’s not in use. By the way: Our Hydration Systems were the first ones to have a lock-system on all valves. 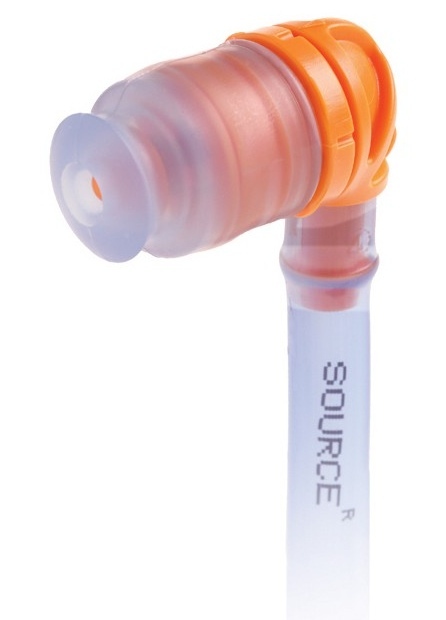 For many years, Source Hydration Valves also were the only angled mouthpieces in the market. We found it fits more comfortably while drinking and the right angle allows a significantly shorter tube, which makes it more convenient to store away when not drinking. You’re ice-climbing or paragliding across a glacier in freezing cold air? A bite-valve might not be the right choice. We recommend you use our Storm™ Push-Pull Valve: there are no soft silicon parts and it’s a free flow valve, therefore the risk of a hydration-freeze is significantly reduced. Also if you’re planning a hike or you want to take your son on a fishing-trip, we suggest you use our Storm™ Push-Pull Valve. It’s like drinking from a bottle. And you’ll be happy to use it as a ‘tap’ to rinse the fish you caught or your kid’s sticky hands. The uninhibited flow of water is one of the big pros of the Storm Valve. When not in use, you lock it like the Helix Valve with a little twist and it stays 100% dry. As a standard extra, all our valves come with a dirt-shield cover, to make sure your drinking-water always tastes like water, also when you’re out in the mud or sand. 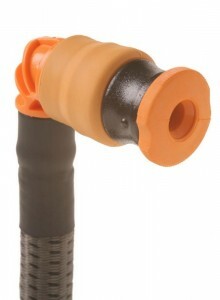 The Source Helix™ Bite Valve is shipped with all our outdoor and biking hydration systems and packs. With cold temperatures coming up in the northern hemisphere you should definitely consider upgrading your Hydration System with the Winter Tube Kit (Storm™ valve with a winter insulated tube). Accurate. Storm for a tap-like use, and helix for hands free use. And if you got a QMT, you can replace the valves on your hydration, making it versatile and quick to setup!